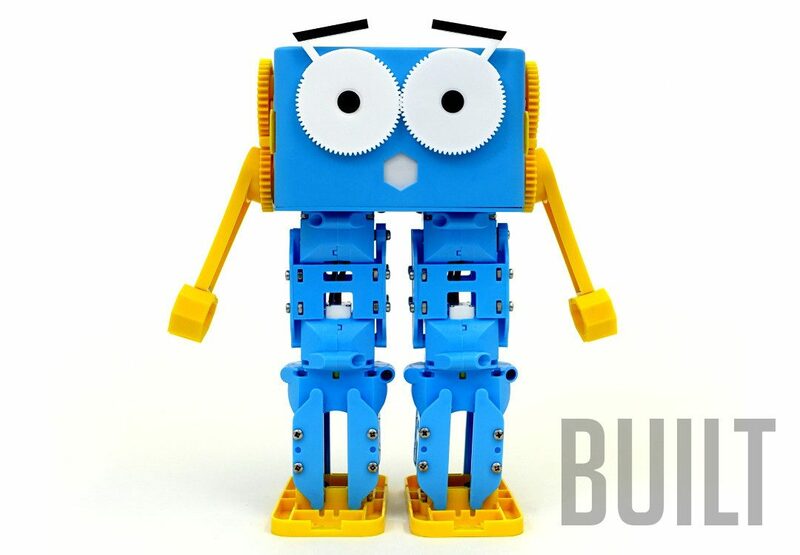 Marty is a fully programmable, WiFi enabled walking robot for makers, kids and educators. 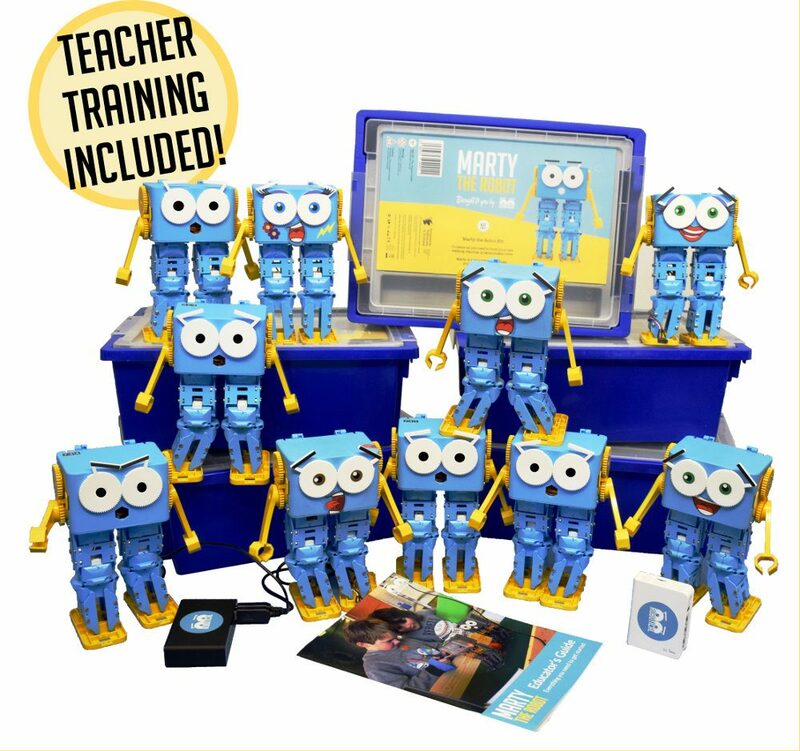 This Marty Education Pack contains 1 Pre-built Marty the Robot, plus everything you need to integrate Marty into your club or classroom. By helping to promote creativity and learning through invention and play, Marty makes learning about programming and engineering a fun and engaging process. Marty acts as an gateway into computer sciences and can grow with the child from early education to their senior phase. By empowering students, Marty allows for inventive learning, engaging the child’s creativity and promoting their STEM skills. Marty is a real robot for the price of a smart toy. 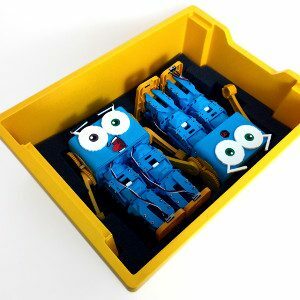 We offer Marts as kits and pre-assembled, so you have the flexibility to decide whether the build experience fits in to your teaching, or if instead you just want the robots to come assembled. The kits and assembled packs include everything you need to build and program your Martys, with a screwdriver, rechargeable battery and USB charger. This is the Marty Assembled Edu Pack. 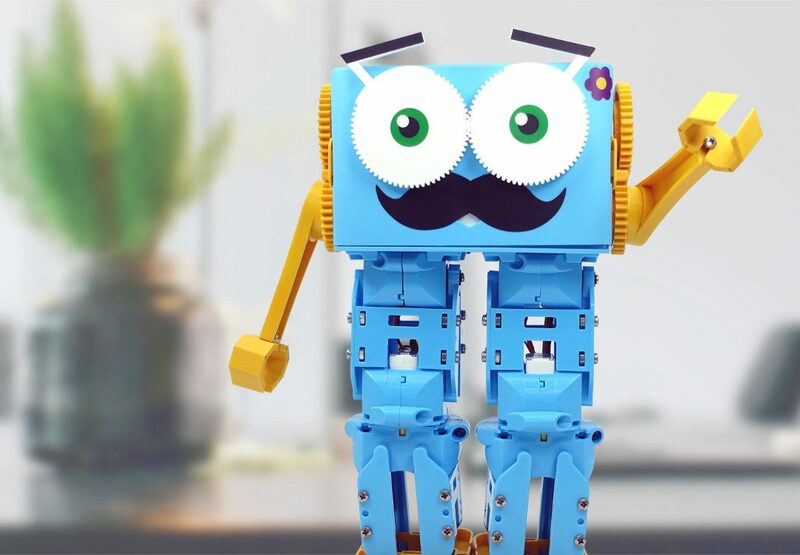 Marty the Robot is for anyone, young or old that wants to learn how to code, and for teachers and educators that want to help them. This Education pack comes with a Marty, all the equipment to you need get set up at school, access to Lesson Plans and video support. We're keen to help you deliver a great experience with Marty. Marty is an engaging tool for bringing Science, Technology, Engineering and Maths to life. Let's not forget arts and creativity too! Marty the Robot perfect for first introducing programming at KS2 level, right the way up to University. Marty is a flexible learning tool that grows with your students. Adding Marty into your classroom is super easy — just have a look through our lesson plans that will get you up and running in no time! 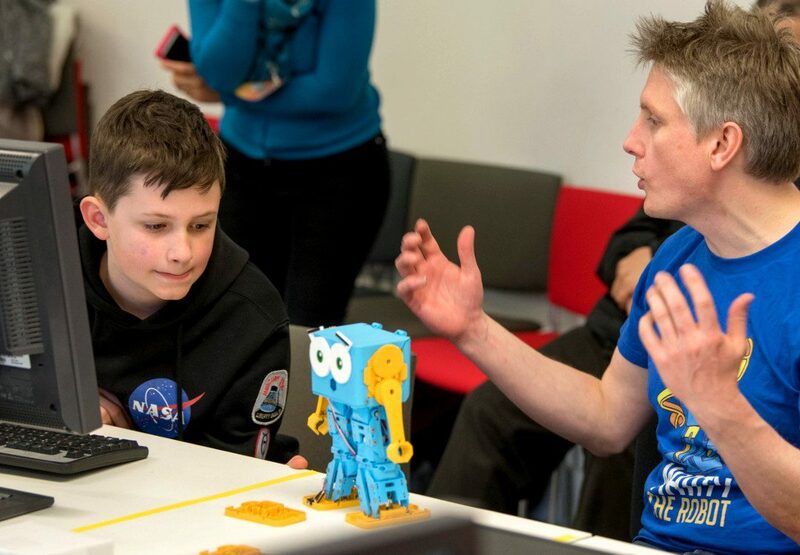 Our resources have been curated with teachers in mind, creating an engaging environment where students can adopt a hands-on approach to learning about important concepts in robotics and programming. 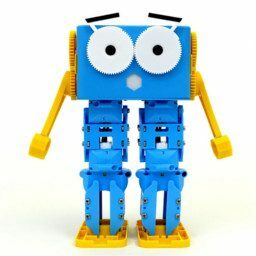 Marty is Maker friendly — you can download and 3D print all of Marty's parts, add sensors, a Raspberry Pi and even a camera to extend Marty's capabilities. 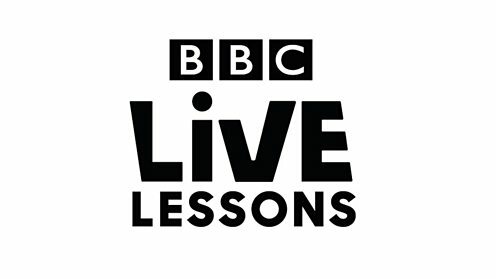 All the same activities and lesson guides for Schools are available to everyone that buys a Marty, and for a more individual learning or free-form environment we've got fun activities for Marty too. 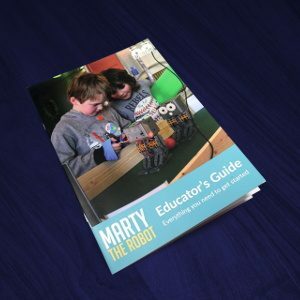 How does Marty the Robot work in a class or code club? 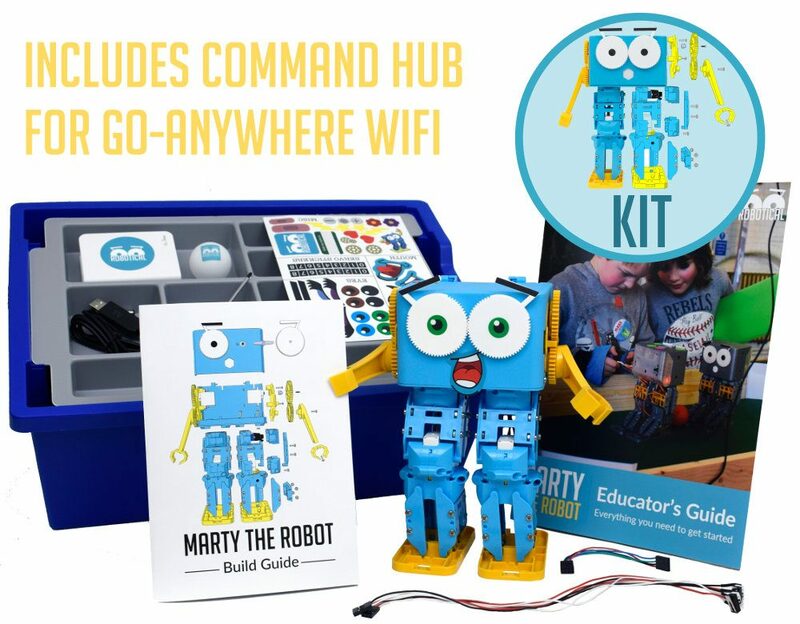 Marty is programmed over WiFi, so you can have as many robots as you like connected and running in your class or club. 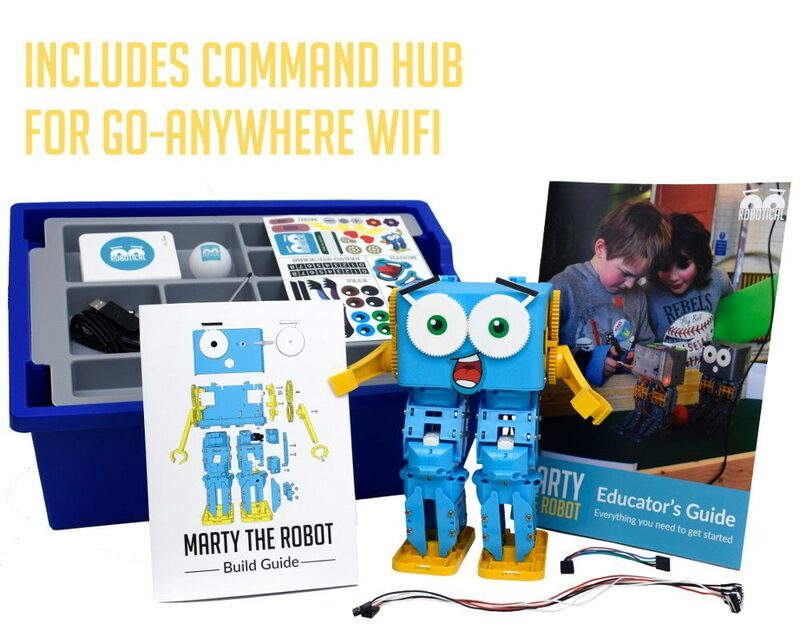 The education packs come with a command hub which generates its own WiFi network and runs a self-contained version of Scratch, to help you get Marty up and running without requiring school WiFi or internet access. We're here to help.  After you buy an Edu pack, get in touch to schedule your introductory video call where we can answer any questions you have, and make sure you get up and running, and help guarantee you get the most out of your Martys. 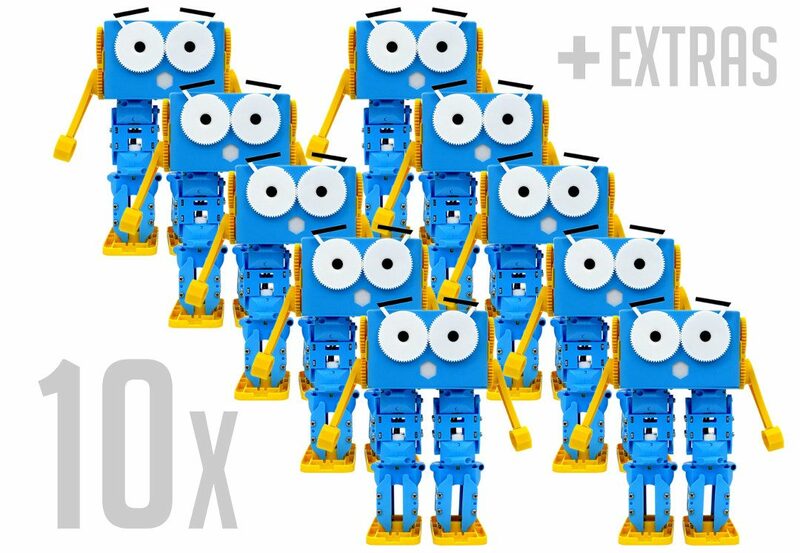 All the extras thrown-in with our Education Packs can be bought separately, so you can get a the same setup for one, ten or one hundred Martys. Kit or Pre-Built? · More Martys? · Class-pack extras? I really like the way it actually walks with legs and feet, most kids' robots just wheel around. Marty is awesome. A proper walking robot that can be programmed in a variety of languages. Marty’s got a unique leg. That’s his defining feature! Each leg has three motors: one for moving forwards and backwards, one for side-to-side movement, and one for turning. This allows Marty to dance, walk, and turn. That’s cool, but I’m probably most hyped about Marty’s eyebrows. ⇨ What's in the Box?! Servo motors. To make Marty move. You'll get four metal geared ones for the main drive motors, and five more standard motors for the leg twist, arm and eyebrow movements. Screws. For screwing. And some spares in case you drop some. Control board. To plug everything into and actually make Marty do stuff. WiFi. Yep, that's on the control board. Software. 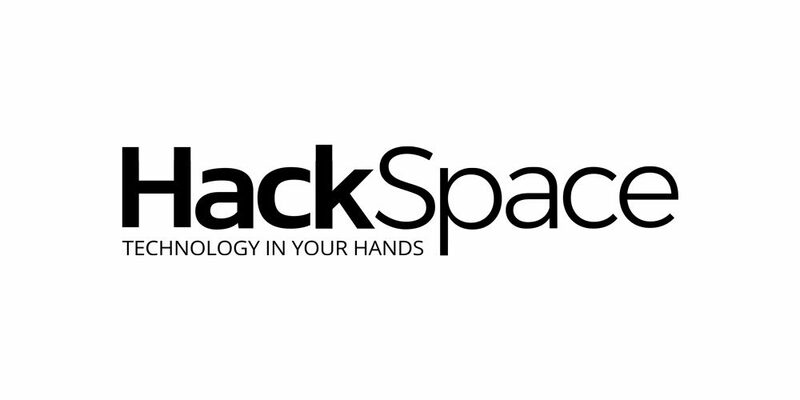 For remote control, and for programming in languages including Scratch, Python and C++. Instructions, although we have a lot of web based content! ⇨ What's special about the way Marty moves? Marty has a unique leg design, which makes him easier to use than a traditional walking robot and prolongs battery life. Marty can walk, turn, dance, kick a ball, and - of course - bust out some funky dance moves! Marty's legs are a bit different to a traditional walking robot. Each leg has three motors: one for forwards and backwards, one for side to side, and one for turning . That's fewer motors than a traditional two legged walking robot, and makes Marty cheaper to make, easier to use, and use less energy to move around. The new design allows all kinds of movements, and gives Marty a bit of swagger! A spring in the step. We use springs to help support Marty’s weight and reduce the amount of work the motors have to do. Marty can even stand on one leg even with all motors turned off! ⇨ How do I program Marty? What languages can I use? Getting started programming Marty is incredibly easy. To beginners we recommend starting in Scratch, a “graphical” language where programming is as simple as clicking and moving blocks. Scratch is aimed at ages from 9+ and widely used around the world. You can make Marty interact with the environment by moving blocks around to read information from his sensors and sending commands back to his motors. When you are ready to go into learning text-based programming, Marty makes the transition as easy as possible by providing the same kind of functions in Python too - except they're more powerful. Your kit comes with everything you need to build a Marty, but if you have a 3D printer you can customise the parts! The plastic parts can be 3D printed, and the CAD files will be available. So if you do have access to a 3D printer you can customise the designs as much as you like. The electronics on board also support additional sensors and motors. For instance, you could make a four-legged Marty, a wheeled Marty, a bigger Marty, make arms with closable grippers - or anything else you can think of! Marty is built to hold a full size Raspberry Pi (a little credit card sized computer), so while it's not required to have one, you can add one and then you have a walking quad-core computer! With a Raspberry Pi on the robot you can do things like vision processing all on-board for tracking a ball and playing football, or even detecting faces to make Marty communicate with your friends! Adding a Raspberry Pi is very straightforward, as we provide you with a special cable for power and data connection, and a downloadable Raspbian image pre-configured to work with Marty! 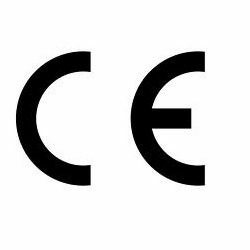 Marty's control electronics are custom made and designed to address a few of the issues we have with other control boards on the market. Based around a 180 MHz ARM Cortex M4 micro-controller, the board takes care of all Marty's low level functions, generating movements in real time, reading sensors, and connecting to WiFi. As well as controlling Marty's servos, our control board also measures the electrical current being used by each servo. That means we can tell if a motor is being over-stressed and turn it off before it risks damaging itself. An accelerometer for measuring tilt and acceleration. A beeper for making noise. 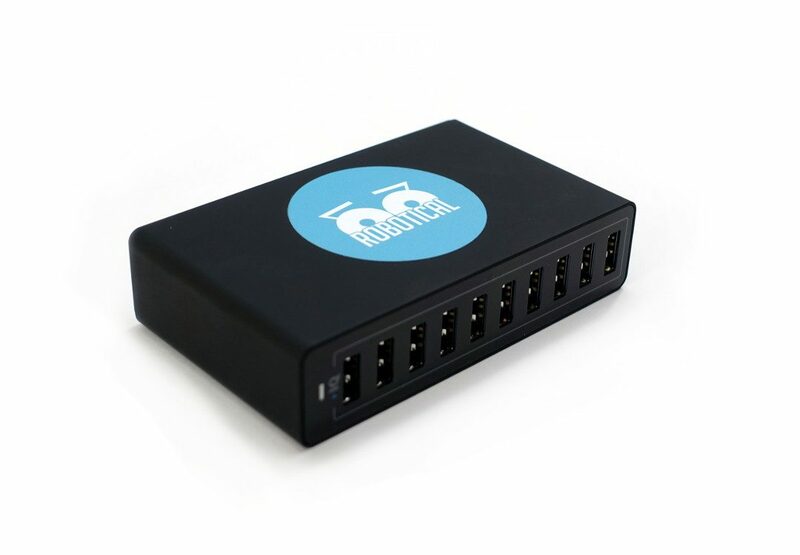 Lots of ports for connecting additional sensors, motors, and circuit boards. 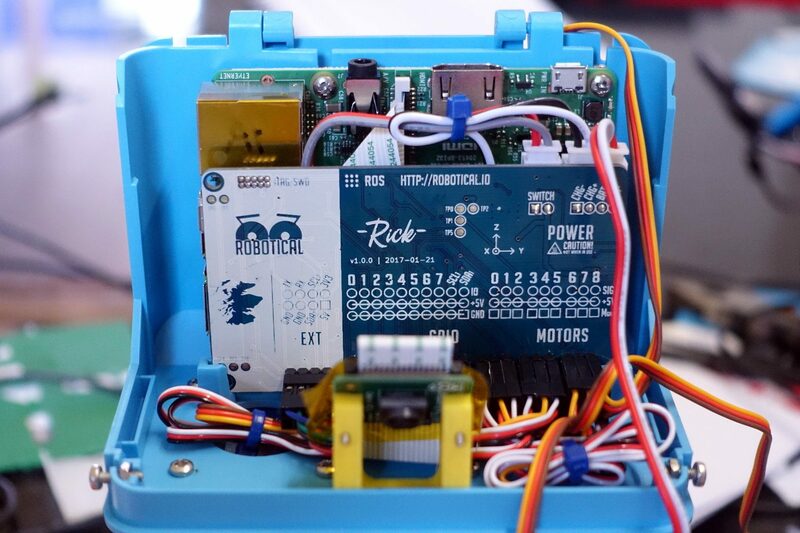 The control board is also designed to support a single board computer like a Raspberry Pi - providing a power and data link. Marty is designed to be more than a pretty face. Multiple degree of freedom limbs make a robot that is interesting to control. With the capability to use sensors like motor current, accelerometers, force sensors, and even camera(s), you can get into some quite advanced topics in robotics. For example - movement generation, mapping, localisation, and high-level planning. 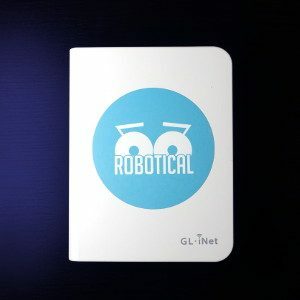 With a Raspberry Pi (or other single board computer) on board you can do your vision processing for a completely autonomous robot. 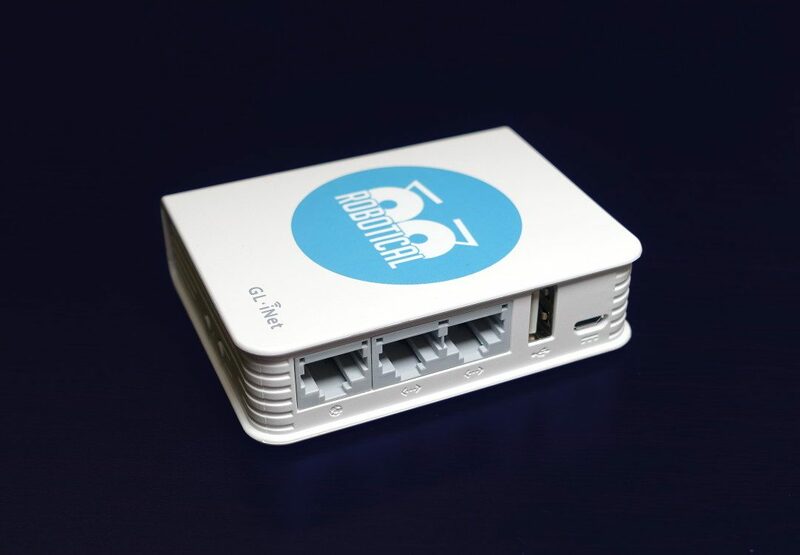 With a Pi you can even run ROS, the Robot Operating System, on the robot - and we provide wrappers to make it easier to interface with the entirety of the robot software. Easily expanded with an onboard Raspberry Pi, then add a camera, microphone, etc. Get as many Martys as you want on the same WiFi network.